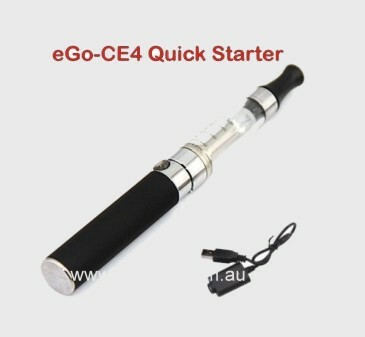 This Starter Kit is perfect for a quick e-cigarette at any time. 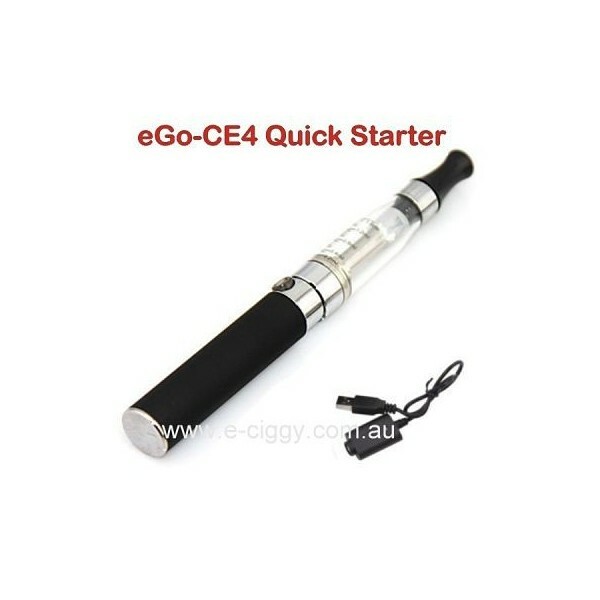 The Quick E-Cig starter kit is perfect for newcomers to the e-cigarette world. Once you try it, then you will love the enjoyment and smoothness that it offers. The battery is long lasting. The cigarette stem is quick and easy to fill. This starter kit is perfect to have at the office and another at home. They were invented by a Chinese pharmacist named Hon Lik and ever since, they have become more and more popular for multiple reasons. Australian users, as well as people all over the world are learning the ins and outs of smoking these alternatives to tobacco products. Here are some interesting facts about the trendy habit of smoking them. An e-cigarette is actually a battery powered gadget that consists of the rechargeable lithium ion battery, flavour cartridge, atomizer and the e-juice that gives it its taste. They are produced to look similar to a traditional tobacco ciggies and are about the same size and shape, and some even have a red light at the end to look like the fire at the end of a tobacco. They are safer than tobacco cigs because they can’t catch on fire because they merely have a heating element that heats up the e-juice when the e-cig use inhales on the end of it just like when someone inhales on a regular type. When this occurs, the e-juice will heat up and produces a water vapour that looks like smoke, but doesn’t have the toxic chemical of tobacco smoke, nor the ashes or tar of a regular one. This means that even if someone falls asleep while holding an electronic device, it will automatically turn off and since there is no real flame, it won’t catch the house or the person on fire. This makes them safer when it comes to fires since regular tobacco device can burn down a home or seriously burn their users if they are used improperly or the user drops one or falls asleep with one in their hand. What kind of flavours are available? One of the other advantages is that they come in many more flavours than just the traditional ones of tobacco or menthol. Australian users can also buy them in mint flavours like peppermint, spearmint and wintergreen, as well as fruit flavours like cherry, watermelon, strawberry, etc., and candy varieties, along with soda flavours like cola and root beer, and many others. It is even possible for users to mix up their own varieties of e-juice or e-liquid by buying the ingredients themselves. This can result in being able to make exactly the type of flavours you prefer and do it in a cheaper manner than buying the already filled flavour cartridges. Not all flavour cartridges are refillable, but if you are interested in refilling them you should check on the brand you are buying and see how they work. Australian smokers also prefer them because they are sometimes allowed to be used in places that regular tobacco cigs are forbidden. This means that after you buy them, you may be able to smoke them in places like the airport, a restaurant or other areas. This is because they are more acceptable there due to the fact that they don’t make second hand smoke, and don’t pollute the air with fumes or dirty ashes. This makes them more socially acceptable than tobacco ciggies. Another advantage - they can bring is that the user can spend less money on their hobby than on tobacco cigs. The starter kits may seem a little pricy, but they contain everything you need to get started with when you buy electronic device, such as the flavour packs, batteries, chargers, atomizer, and carry bag. Then, all you have to do is buy replacement e-juice or flavour cartridges, depending on the kind of e-cigarette you choose to buy. They have more puffs to a pack than regular for the money spent to buy them. This means that if you trade from regular tobacco to using electronic devices that you could be spending less of your income on them. An ecig is good for about 250 – 800 puffs and you can stop or start as many times as you like, which also saves money since you aren’t wasting it like if you have to put out a regular tobacco before you finish it. Comment : I recently purchased the ego-t starter kit. I shopped around several places for a good e-cig and I thing this is the best one for beginners. Comment : The best for begginers! 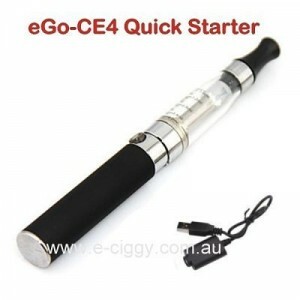 Rating(s) and review(s) : Quick E-Cig Starter Kit - Reviewed by : Donna F - Rating 5 / 5 - I recently purchased the ego-t starter kit. I shopped around several places for a good e-cig and I thing this is the best one for beginners.